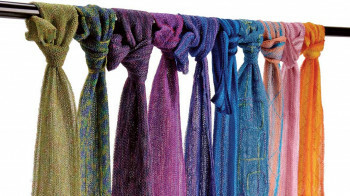 Want to ensure all of your projects have perfectly finished serger techniques and finishes? Learn how to create simple gathers or lettuce edging with your differential control and how to precisely sew serger corners and curves. View the original post on Threads magazine. 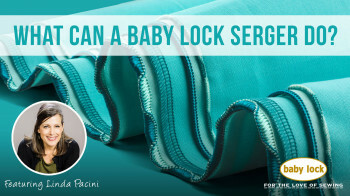 All you'll need for these techniques are your Baby Lock serger, thread and fabric. 1) Gathers Gathering lightweight to mid-weight fabrics is a breeze. For maximum gathers, set the differential to the highest number, the needle tensions to 6 or 7, and to the longest stitch length. 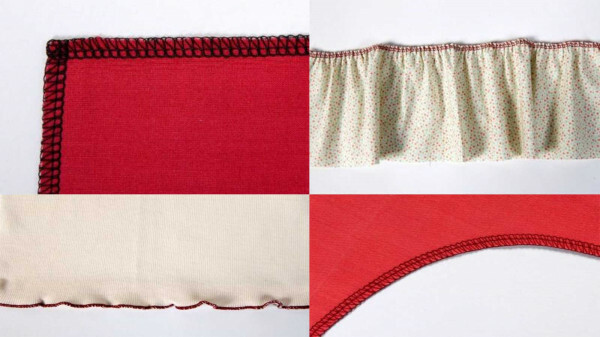 Trim off a little fabric as you stitch and, voila, perfect gathers. 2) Lettuce edge Lettuce edging is a sweet finish for knits and woven bias. Rolled and narrow-hem stitching work the best for this technique. Set the differential dial to the lowest number and watch the fabric stretch and furl as it feeds through the machine. 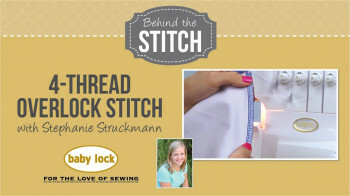 Tip: If the stitch is not catching the fabric's edge, this is due to the fabric stretching away from the needle after the blade has made the cut. Prior to serging, press a 1/2 inch hem, serge along the fold, and trim away the excess. 3) Serging corners For an outside corner, serge one or two stitches past the end of the corner, raise the presser foot and gently pull the thread tail off the stitch finger. Turn the corner and put the edge of the fabric right up to the needles. Pull up on the threads above the tension to get rid of any thread slack, lower the foot, and serge the next side. The inside corner is stitched by straightening the corner. Make a 1/4-inch clip diagonally into the corner. Straighten the inside corner as you skim the fabric edge. 4) Serging Curves An outside curve is hard to pivot around because the long presser foot holds the fabric. As you come around the curve, lift the presser foot and move the fabric from underneath the foot. Lower the foot and stitch a little more. Repeat as needed to complete the curve. 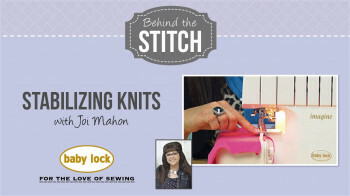 To stitch an inside curve, straighten the curve out as you stitch.